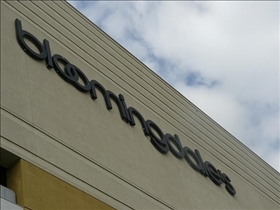 When it comes to shopping, few companies have the same renown that Bloomingdale’s enjoys. That being said, there are a number of other stores and department store chains that are making a bid to carve away at Bloomingdale’s formidable edge, with Nordstrom being one of the fiercest new contenders to the throne. Does Nordstrom have what to takes to whittle away at the imposing shopping giant? Let's see! Bloomingdale’s is a U.S.-based department store chain owned by Macy's, Inc. The department store chain was founded in 1861 by Joseph and Lyman G. Bloomingdale with a product line consisting mainly of hoop-skirts. The first Bloomingdale’s store was opened in 1872, at 938 Third Avenue, in New York City. Nordstrom is a U.S.-based department store chain founded by John W. Nordstrom. The chain started out as a shoe store, although the company has since expanded its product line to include clothes, accessories, bags, jewelry, cosmetics, perfumes, and even home furniture. The company’s headquarters and its flagship store are located in Seattle, Washington. By 1930, Bloomingdale’s had relocated its main store to Lexington Ave. Starting out as a single building, the store eventually took over the entire block, and was expanded to eleven stories, with a total redesign by the architectural firm of Starrett & van Vleck. This building was designed in the popular Art Deco style of the day. The first branch store of Bloomingdale’s was opened in Fresh Meadows, Queens in 1949. More recently, the company has also announced plans to open up a 3-level store with a floor area of 82,000-square-foot. With the expansion of Nordstrom into new and bigger stores came the introduction of restaurants into the premises. By 1989, the company had opened what was then its largest and most costly store, the flagship Westfield San Francisco Centre branch. This store had four restaurants in addition, to an English pub. Today, the company has more than 110 department stores in addition, to 68 Nordstrom Rack stores, two Jeffrey Boutiques and a clearance store called Last Chance. In 1978, Bloomingdale’s launched a mail catalog that allowed it to expand its customer base to households in areas where there were no Bloomingdale's stores accessible. Since 1973, the company has sought to capture a portion of the youth market by stamping the name "Bloomie's" on its line of women’s underwear, and the Bloomie’s stamp has since become something of a collector's item. 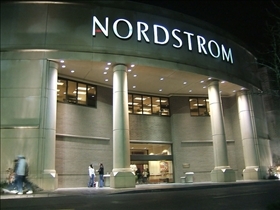 Nordstrom for its part was awarded the number 72 slot in the 2009 issue of Fortune magazine in the “100 Best Companies To Work For” category. The company has in fact appeared in the list numerous times. The store was also number 286 in the Fortune 500 list of 2007. Is a U.S.-based department store chain owned by Macy's, Inc. Which shop has a better website?